​Milford Lodge is located on the top of Buderim (Mountain) on the Sunshine Coast. ​Whilst the Sunshine Coast, including Buderim, has grown quite substantially over the past 3 decades, we are still fortunate to be part of a ‘village’. Our local organisations and businesses are all very supportive of Milford Lodge and our philosophy for children. We are welcomed into the community with open arms. Milford Lodge only reintroduced excursions in 2012 and since then we have ensured that they are a regular part of our program. Our outings are offered to all age groups, from Babies through to Kindergarten. Our "Forest Dwellers" outing commenced in April 2016. Nature Play is fundamental to a full and healthy childhood.The children pack their own morning tea from our kitchen in individual backpacks and we take along child sized real tools from MTA including hand drills, hacksaws, whittlers, ropes, pulleys, fishing nets etc. Once at the forest children are free to explore their surroundings climbing trees, building cubbies, catching tadpoles, looking for insects, crossing the numerous creek beds and observing the magnificent waterfall. We have watched in awe each week as the children step outside their comfort zones been very supportive of friends offering to hold their hands or offer words of encouragement admitting ''I needed help to do that last week but now I can do all by myself!". We have noticed that the children's coordination and balance has greatly improved in a matter of weeks due to the varying situations,environments and conditions we are exposed to in the forest.We return to Milford Lodge in time for lunch which is always throughly enjoyed after our busy adventurous morning with lots of exciting stories to share with our friends. Andrew & Olivia Banks own Art Nuvo. Art Nuvo was in fact another Milford Lodge Child Care Centre in the 90s, catering for babies and toddlers. Andrew & Olivia’s children & nieces attended Milford Lodge from 2005 through until 2010. They have been extremely supportive and welcoming of our children when they have statues in the garden by Monte Lupo Arts. On our first excursion to Art Nuvo back in 2013, we invited children to bring along an explorer pack, and gave ideas of things they could put inside. We were amazed to see some of the children who rarely lifted a pencil, lay down on the grass and in fine detail, illustrate all of the little mosaic tiles within the statues. In 2016 Art Nuvo have begun showcasing our children's artwork in their gallery, with a new artist being exhibited every few weeks. Hans & Marg have started Manawee Plant Nursery in 1989, not long after Milford Lodge! Again, their children attended Milford Lodge, and we have enjoyed a long relationship with this iconic Buderim business. ​Hans, Marg & all of the staff at Manawee are again very welcoming of our children into their place. The children are able to explore the large nursery with their educators and parents, sometimes asking for assistance from the Manawee staff if required, before taking their purchases back to the counter. Families often accompany us back to Milford Lodge to assist with planting our purchases. In 2016, Swimfit Buderim invited our children along to are in some free swimming lessons. As many of the children were already attending lessons at Buderim it was lovely to see them share that time with their Milford friends. Since then we have increased the frequency of our visits, and go on a monthly basis from the second term each year. The instructors are fantastic and always have loads of fun experiences ready, including songs, dancing, stories, games and oh, yes, swimming lessons! Swimfit Buderim have also been amazing supporters of Milford Market Day for the past few years, donating generously their time and awesome prizes! In 2017 we came across an article in the local newspaper whereby the iconic Books of Buderim were approaching the celebrations for their 50th anniversary! Having only owned the shop for just over a year, Fiona (owner) was looking for ways to reignite the communities love for books. As a service who veers away from screens, and is the home to thousands of books, we jumped at this open invitation and arranged for our first Books of Buderim outing. Many children ensured that they returned to this new favourite place with their families the very next Saturday that came along. Whilst one of our further destinations, we know that we will most definitely be visiting Books of Buderim more frequently. 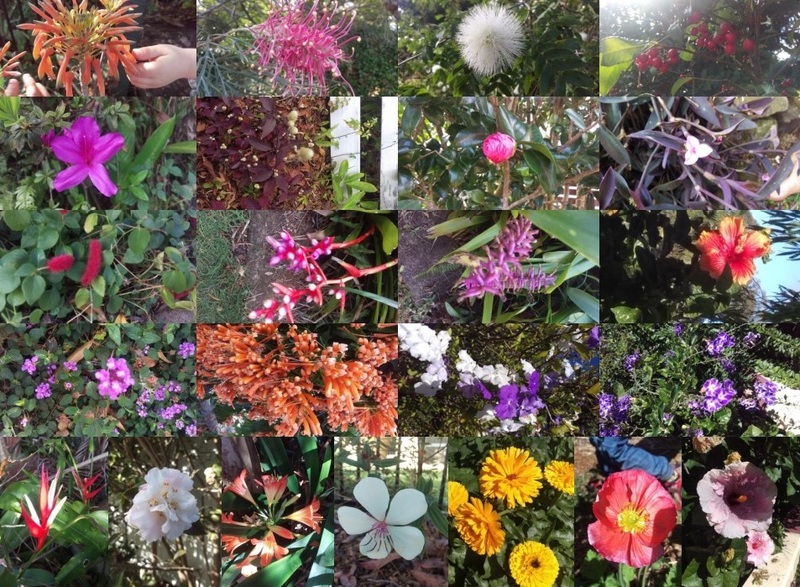 ​A relatively new experience has been the addition of Buderim Village Park / The Coffee Club Buderim. In late 2014 our Kindergarten children enjoyed a trip to the Amcal pharmacy to help restock the first aid kids for the service. Children chose all kinds of band aids before we moved across to the Coffee Club where we were pleasantly surprised to find one big long table laid out for us. This was right in the middle of one of their busiest times of day (late morning tea!). Our children were all served a baby-cino whilst the educators and parents enjoyed a coffee. This was the last excursion for the year and it really showed the benefits of our dining room. Our children were so well mannered and confident little members of society that morning during peak hour at Coffee Club . Since that experience the smaller family group excursions commenced, offering different opportunities for exploration. The park is a wonderful place to explore and relax. ​Generally these visits are planned, however we have been known to all have a ‘sit’ on the big ride on mower on the way back from Buderim Village Park. Buderim Mountain Mowers was opened in 1988 and is another well established family business in Gloucester Road. Rob & Kathy are fantastic hosts, especially with Kathy originally being a teacher aide. Our children are able to explore the shop, look and touch almost everything – they are given free balloons and brochures to look at. Rob is more than happy to start up a chainsaw to show us also. One of our newest outings, alongside the Sunshine Coast Mobile Library, there is a historical connection between Fenwick's and Milford Lodge. For those who have been in Buderim since the 80s would know, Fenwick's originated in a shed across from the Buderim War Memorial Hall, what is now a stage at Buderim Park. Frank & Margaretha always purchased their fruit and vegetables from the Fenwick's family shop, and Frank quite often loved to have a chat with June. Later when the Buderim Hub was built, Fenwick's moved into the new shopping arcade. It was not long after this that Molly offered to volunteer at the shop one day a week after school. They stated paying her the very next week! Fenwick's are mentioned in our first blog (Don't Keep Walking Past), as they are a fantastic family business who started back when Buderim was very much still a village. Thank you to Alan and the team for welcoming our children, who now visit Fenwick's every week to select and purchase their own afternoon tea fruit & vegetables during their outing to the nearby Mobile Library. Add yourself to their mailing list here. What's not to love?!?! 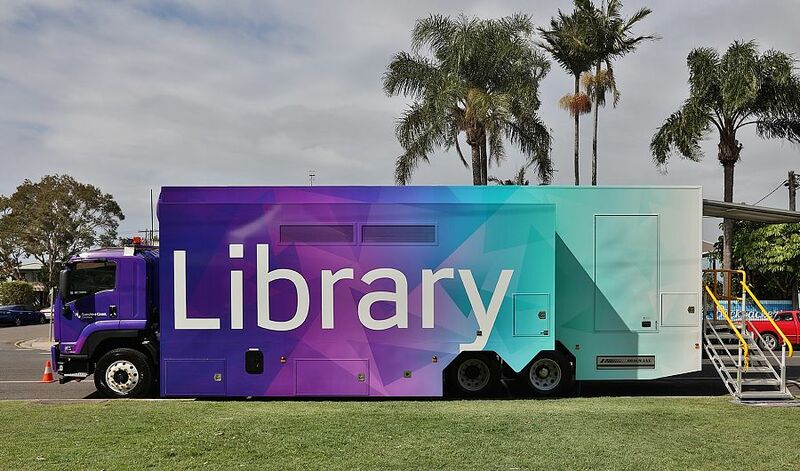 It's a library... on a truck! This has been a wonderful addition to our ever growing list of outing venues. The children enjoy three outings in one. They buy their afternoon tea at Fenwick's, select new books from the Mobile Library ad then help to collect their siblings and older friends from Buderim Mountain State School for After School Care back at Milford Lodge. If you have never stepped foot into one of our various Sunshine Coast Libraries - please do! They are free to join, it is a wonderful way to celebrate reading with your children and they have some awesome events and speakers throughout the year too. For a few years now our Kindergarten children have been enjoying a weekly visit to the library at Buderim Mountain State School. This weekly outing really supports our Transition to School program for the children enrolled in our Kindergarten program. All children have the opportunity to attend, not only those who will be attending Buderim Mountain School. The children have the opportunity to relax and enjoy reading a wide range of books from the extensive library collection. The year six children often read to the children too- it is very special to meet children who have attended Milford Lodge before starting school happily share their wonderful memories with the children. Each child gets to choose a book to borrow for the week. The librarian "Miss June" is very patient with the small group who attend pointing out new books she thinks they might enjoy and involving them in counting the books to be scanned before they place them into our special library bag. This involvement with librarians, teachers and admin staff really supports our children's perception of school life and plays a vital role in supporting our children to have a successful transition to prep next year. This regular outing resonates with our philosophy of remaining true to time honoured traditions. Although we may live in a digital age were communication mainly occurs through screens and devices we don't want our children to never know the excitement of receiving a personal card or letter in the post. There will always be a nostalgic memory of recognising relatives handwriting on the envelope before reading loving words that mean so much which can then be saved and kept as a special keepsake. We always ensure we take a small mixed age group from babies in Avocado Cottage through to our Kindergarten children. 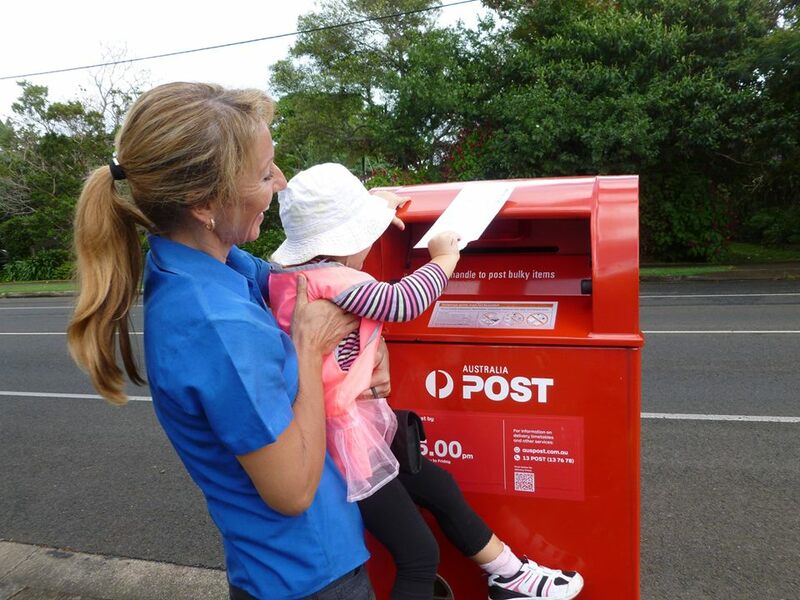 We invite families to write cards and letters with their child at home to family members and then bring them along to Milford Lodge on their next day of attendance when we can spontaneously go on a lovely stroll to the post box. If older children wish to write letters to their family and friends whilst at Milford we have stamps and envelopes available too. 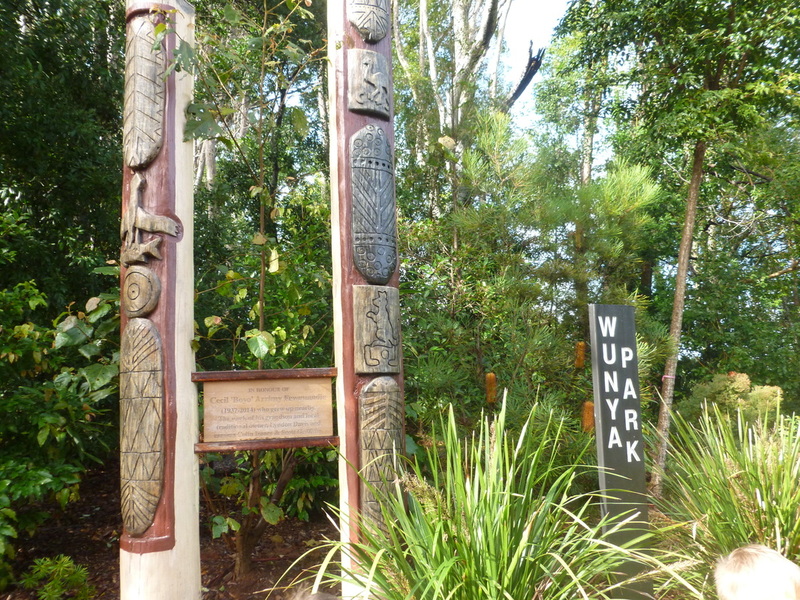 Wunya Park was revived and dedicated to acknowledge the former Aboriginal presence of the land in 2013. Since then we have been visiting this wonderful space with our children to share local knowledge and history of our area with the children and families.. We feel it is of the upmost importance that children can identify with ‘place’. The American heritage farmer and poet Wendell Berry once said ‘’if you don't know where you are, you don't know who you are”. This statement really resonates with us as a learning community as we wrestle with important questions and issues that relate to land, identity and community. By visiting Wunya Park on a regular basis with our children and sharing literature, cultural images and outdoor education practices we have the potential to make a significant contribution in developing an optimistic view for future generations of learners. It is through understanding and fostering a sense of connection with the places where we live that we discover our identities. Sadly Urban Food Street is no longer alive. We will always be thankful for the years we were able to share in this amazing place and for the time and knowledge from Duncan, Caroline and all of the beautiful residents. A short stroll from the front gates of Milford Lodge brings us to the amazing Urban Food Street of which our children and families have become very much a part of. This wonderful community operation started around 7 years ago, when a resident complained of the price of a lime in the supermarket. Fast forward to now, and the retrofitted suburban landscapes have shown that this simple idea has so many amazing outcomes than just saving a few dollars. What Duncan and partner Caroline have done, with the support of all residents, is created a community, one of which Milford Lodge families are so fortunate to be part of. Our children regularly go on outings to Food Street to help Duncan harvest produce – latest excursions have included rosella fruit, mandarins, cabbages, turmeric just to name a few. During their time with Duncan, the children learn all about how to grow and care for all of the different foods that Urban Food Street has to offer. Our children are asked to use their muscles, get their hands dirty and use real tools. Since 2015 we have also begun hosting Food Street Family Walks. These are held once per quarter, from 6.45am and are for any Milford Lodge families & friends to join in. After meeting in the car park of Milford Lodge we walk down all together to meet Duncan and Caroline at the end of Clithero Avenue, where they take us on a tour of their beautiful spaces. Many families come along because their child has told them all about their Food Street outings and curiosity gets the better of them. Every family that has attended has been in awe of what has been created over such a short time, not just in the physical sense, but also in the sense of community. Families are then invited back to Milford Lodge to share in breakfast, tea & coffee with their child. It is a beautiful start to the day! View Urban Food Street's article on our recent Family walk here.